This diamond engagement ring has many features contributing to its royal design. 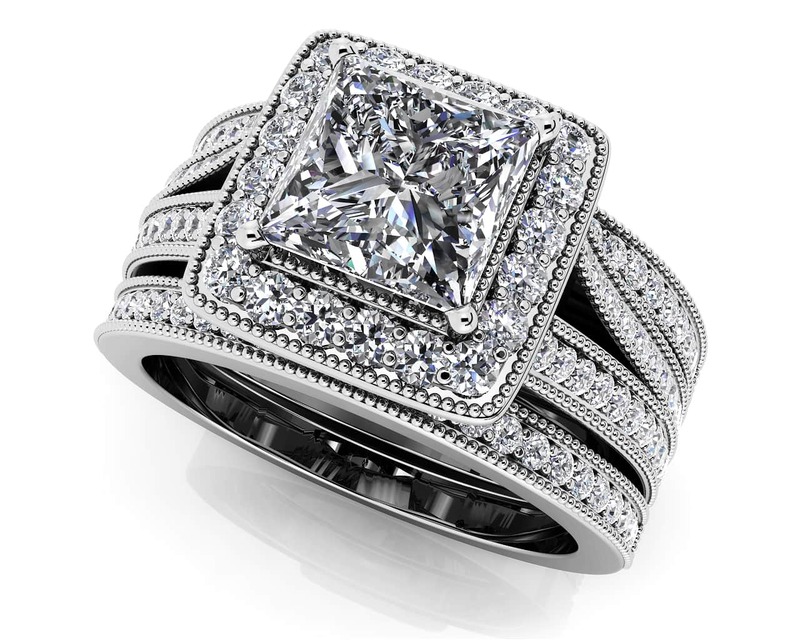 A stunning princess cut diamond is at the center of this ring, set with four prongs. Choose from .50, .70, 1.00, 1.25 or 1.50 center diamond sizes. Surrounding the square shaped center diamond is a row of round diamonds accented by millgrain details. 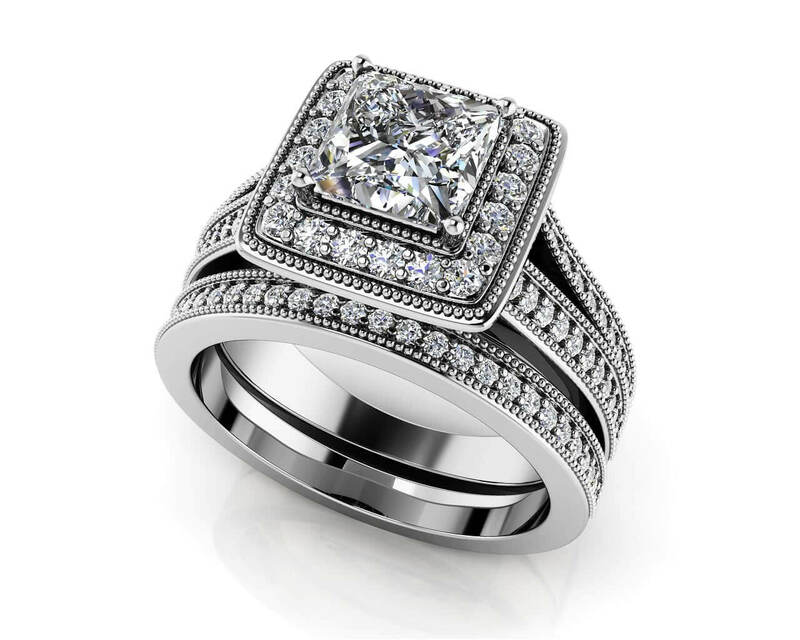 This ring has a split shank lined with prong set diamonds and more millgrain edging. 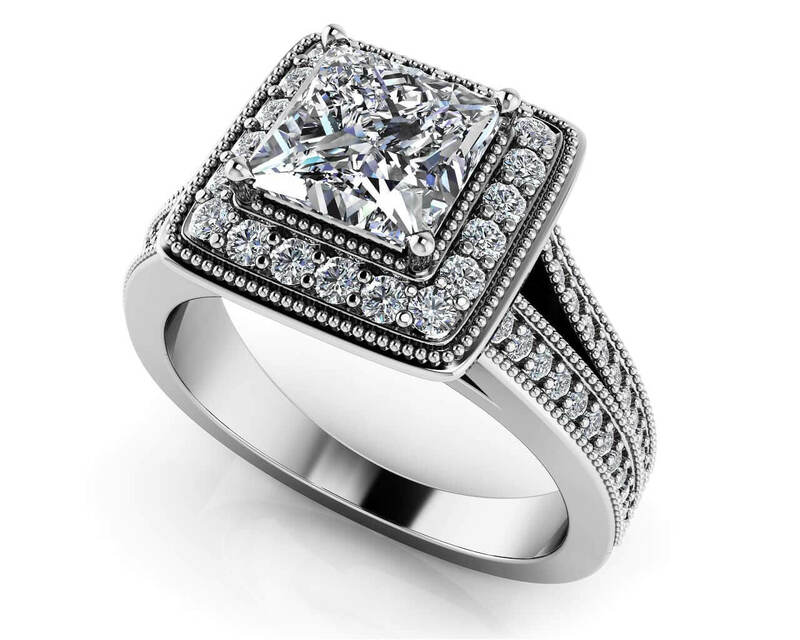 You can customize the wedding set in your favorite metal type and choose from five different sizes ranging from .86 to 1.91 total diamond carat weights. Model Carat Weight: 0.86 ct. Effective Carat Weight: 0.86 ct.
Stone Carat Weight: 44X.005 ct., 20X.007 ct.